Beautiful one story house located on a two-level 70,780 sq. Ft lot with fantastic city lights view. 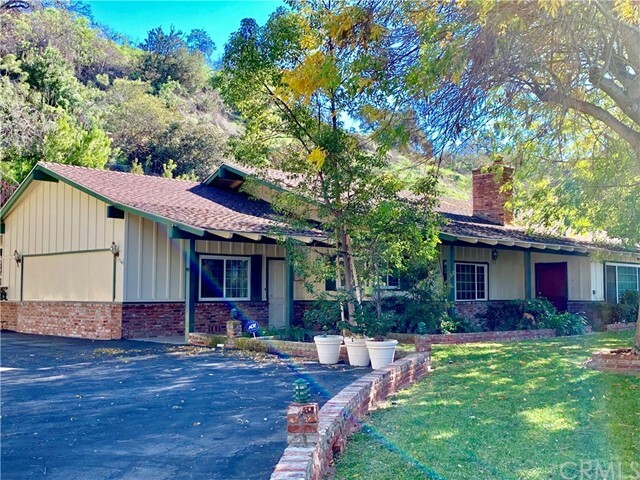 Private road (oakleaf canyon rd. ) lead to a private driveway. 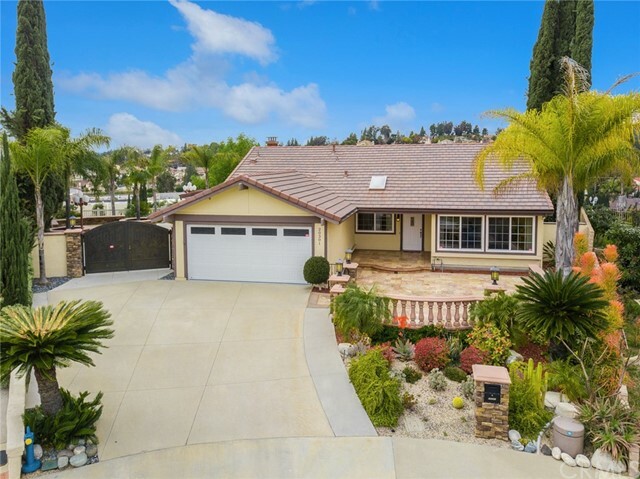 Spacious 2,458 square-ft home with 3 bedrooms and 2 3/4 bathrooms. Open floor plan with lovely living room, family room, and formal dining room. New interior paint, newer hardwood floors, and newer custom window coverings. The huge backyard features a fenced pool, covered patio, fruit trees and a guest house with a 3/4 bath. The garage has been converted into a bonus room without permitted. The stair of the view deck at backyard not ready for viewing. 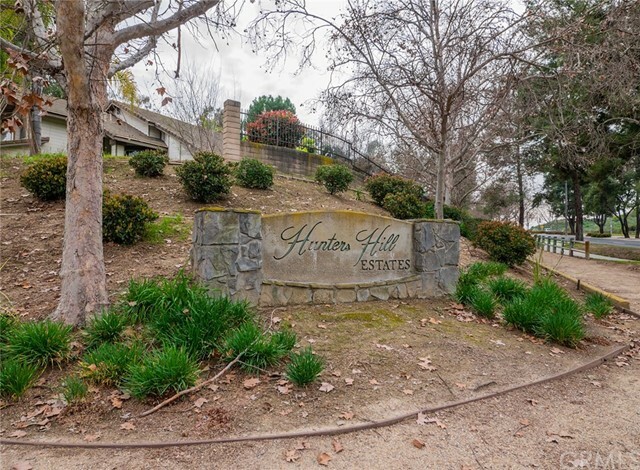 Convenient location close to schools, shoppings and access to freeway 57 & 60. Gorgeous walnut ridge community home on a cul-de-sac street. South sitting, north facing. High vaulted ceiling with skylight. Spacious open kitchen with breakfast area, new sink, stove, oven, dishwasher, garbage disposal & granite counter tops. Luxurious master suite with walk in closet and open to the huge back yard through new french door. Large loft with handcrafted built in stunning bookshelves. Newly paint inside. Wood shutters. New high quality carpets and upgraded wood flooring. Professional landscaping with palms, many fruit trees & flowers. Sparkling pool & spa. Half basketball court. Three car garage. Award winning walnut school district. The city of walnut has been named one of the best small towns in america by cnn money magazine. Close to mt. Sac, cal-poly, park, shopping centers, easy access to 60/57/10 fwy. Super sharp upgraded throughout. Almost complete remodeled, upgraded including wood floor and updated carpet. Kitchen and all bathrooms, lighting fixtures. Crown molding, elegant living room with high ceiling. Open to the formal dining room. 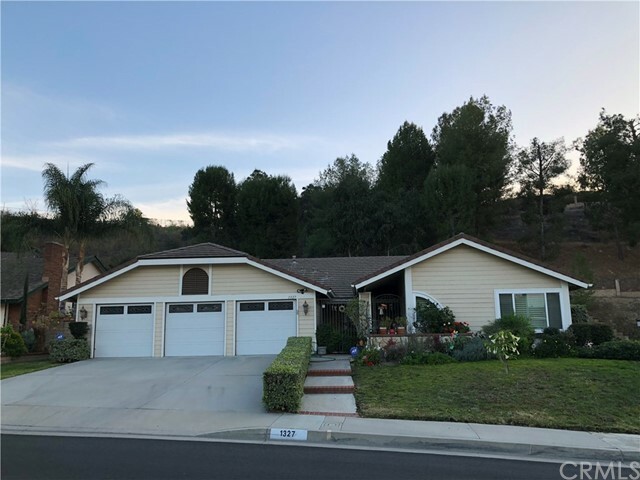 Spacious family room has fireplace, remodeled kitchen features granite countertops, newer cabinetry, stainless steel appliances, kitchen island, and breakfast nook. Wrought iron stair case leads to luxurious upstairs master bedroom suite features fireplace, large walk-in closet. Luxury master bathroom has jet tub and separate shower, rest and relax in an open concept. Huge backyard with sparkling swimming pool and spa, it is perfect for entertainment. Other features: central air condition, security alarm system, indoor laundry room with cabinetry, sink. Professional designed landscaping. Artistically decorated and stunning detail throughout. Excellent oswalt elementary school, close to the park. Walnut ridge community excellent location great floor plan, high ceiling and many upgrade, home on a flat lot. Offer 3 bedrooms, 2. 5 bathroom and 3 cards garage. Family room with fireplace extends to the large patio for entertainment. Dual pane windows, granite kitchen countertop and many cabinets much more. 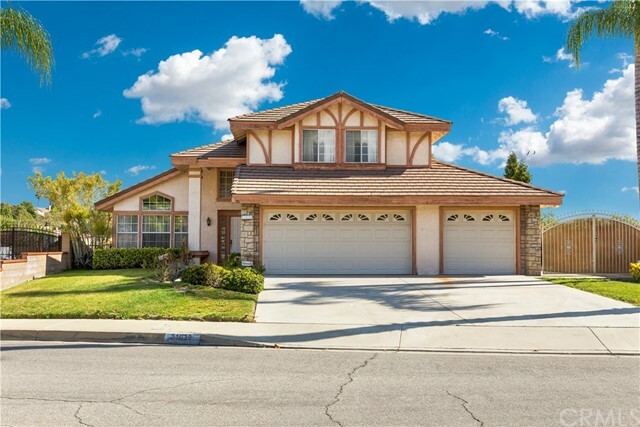 Award wining walnut school district, walking distance to suzanne middle school and walnut high school, minute away shopping plaza, city hall, library, restaurants and fitness center. Easy access to fwy 60/57/10. The residence at 302, a single family residence situated in the city of walnut, ca. Consisting of 3 bedrooms and 2 bathrooms, this home has been completely redesigned and remodeled. Conveniently located within minutes to 57 freeway and 60 freeway junction, and walking distance to the vons plaza across the street. The house comprises contemporary 3 bedrooms and 2 bathrooms, brand new modern flooring, redesigned kitchen cabinets with new stove, refrigerator and sink, completely revamped modern bathrooms with huge glass showers, freshly painted throughout, and equipped with nest 3rd gen learning thermostat, carbon monoxide/smoke detector, and dyson v7 cordless vacuum! 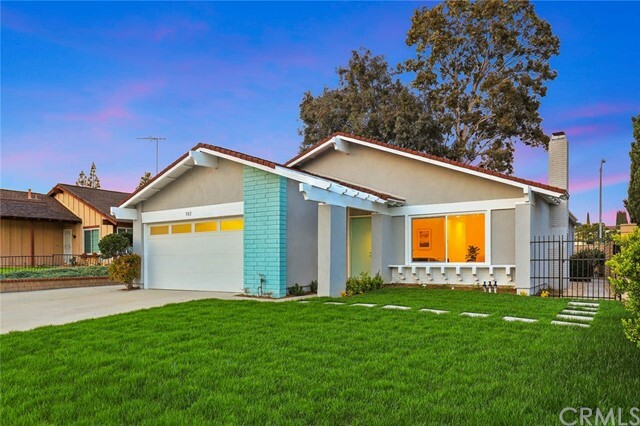 Located within the prestigious walnut valley unified school district, you can get the best school district while possessing the one of the most modern homes in the area. Views views views!!! 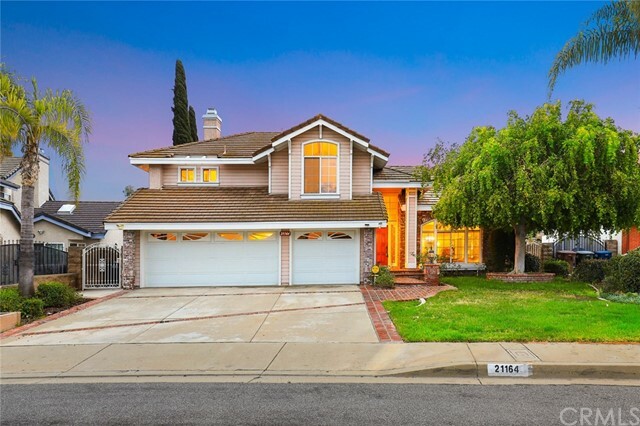 This fabulous view home is located in the prestigious walnut school district on the end of a cul-de-sac lot over 22,000 sq ft. Stunning front porch area with its art deco travertine tile entryway. Truly a beautiful contemporary design, form & function! This completely re-modeled 3-bedroom 2-bath residence built with high-end materials with attention to detail. Open spacious floor plans in every room. Natural colored oak flooring, recessed lights, dazzling chandeliers and new double pane windows throughout all contributes to adding an amazing new perspective to your life. The high end kitchen features elegant granite counter tops, custom cabinetry, and a center island. The private master suite contains a luxurious and spacious master bathroom with gorgeous city and mountain views. With 2 additional oversized bedrooms that shares a bathroom with ravishing vanities. Let's not forget about the huge outdoor entertainer’s space with paved flooring. Covered patios with bright lighting, and newly fenced backyard. Enjoy your panoramic city lights, sunrise, sunsets and mountains view. Complete easy access to the slope down for organic fresh fruit trees. There's even room to park your rv in the side yard! So don't wait to come and experience this unique one of a kind state of the art home in walnut! Amazing ,deluxe model home , 2 years only ,like brand new, just released in award winning walnut valley school district. This gorgeous and bright model home with all upgraded interior design and landscaping backyard. All furniture, pictures and everything are included don't miss out on this gorgeous model home in walnut beautiful upgraded landscaping and everything are included. !this is model home features 3 bedrooms and 2. 5 baths + 1 big loft in a beautiful open floor-plan. This model home also includes designer options throughout, custom built-ins, complete landscaping, full appliances and much more. Attached pictures are of the actual model home. Furniture, refrigerator, washer and dryer , artwork and audio/video equipment are included. 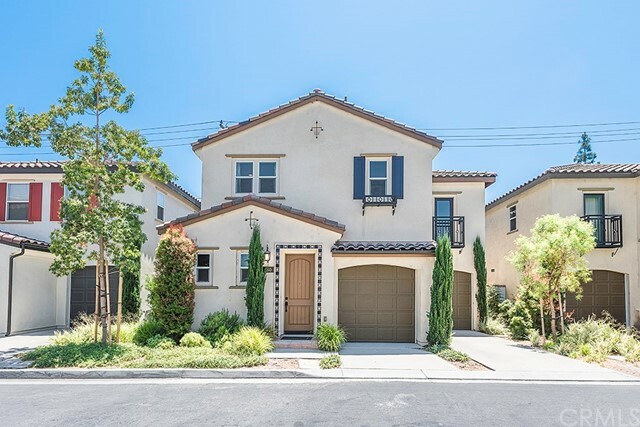 Convenient location to mt sac college,school, supermarket and shopping center.